This textbook is suitable for the following courses: Introductory Management Information Systems. 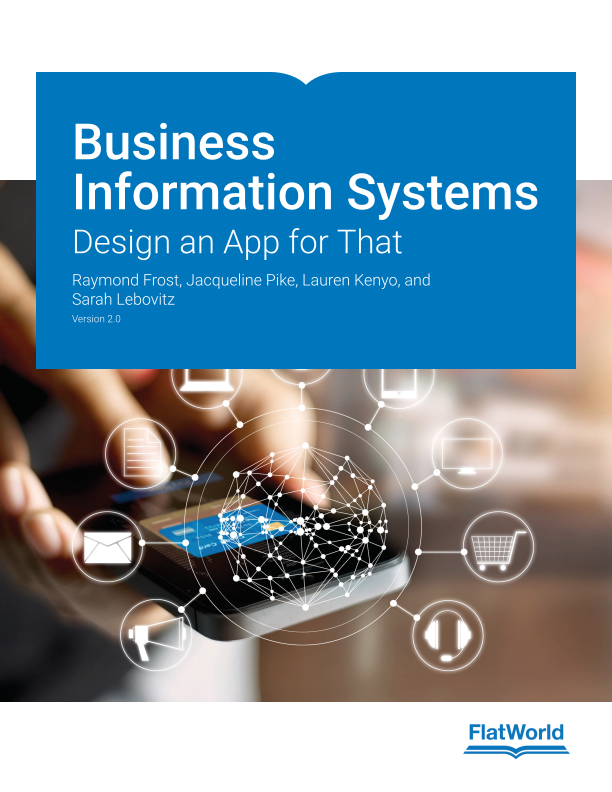 Business Information Systems: Design and App for That provides an introduction to the field of Management Information Systems. Modeled after an internship, this project has students design, market, and “sell” an app in the class store. Updated to include a strong emphasis on data summary, data integration, and data-based decision making. 11.1 What Is Dirty Data And Why Should You Avoid It? 14.1 What Are Information Systems?